Kate comes to Northern Michigan via New York City, where she was a freelance actor, singer and playwright, appearing Off-Broadway as Judy Garland in the underground hit, Christmas with the Crawfords. She wrote and starred in several Judy Garland-themed productions, including Judy’s Christmas Garland and Judy Garland and Uninvited Company -- for which she was nominated for a Nightlife Award and won a Backstage Bistro award. Before her time in New York, Kate was one of the founding on-air personalities for ZDTV, a national television network (later to become TechTV). There, she hosted "The Screen Savers," a live daily call-in show co-starring tech guru Leo Laporte, as well as "Extended Play," a show about videogames and the gaming industry with cohost Adam Sessler. She also puppeteered and provided the voice for Tilde, the network’s "virtual host" - work for which she won an Emmy Award. Kate Botello has lived in Traverse City, Michigan since 2005, and is delighted by the huge amount of talent and art available to people in our area. She directed and starred in many productions for the Old Town Playhouse and Young Company, and led the OTP's Summer Performing Arts Camp for four years. Kate has even had a chance to make a few dreams come true, including hosting live "Sing-a-Long" events at the State Theatre, narrating stories with the Traverse Symphony Orchestra and serving as the official "Word Pronouncer" for the Traverse City County and Regional Spelling Bees. Kate brings a lifetime love of classical music to IPR, and is thrilled by discoveries of beautiful pieces, new and old, to share with you. Welcome to Day Two of BOOM Week on IPR's Kids Commute! This week we're listening to big, loud, exciting pieces of music! 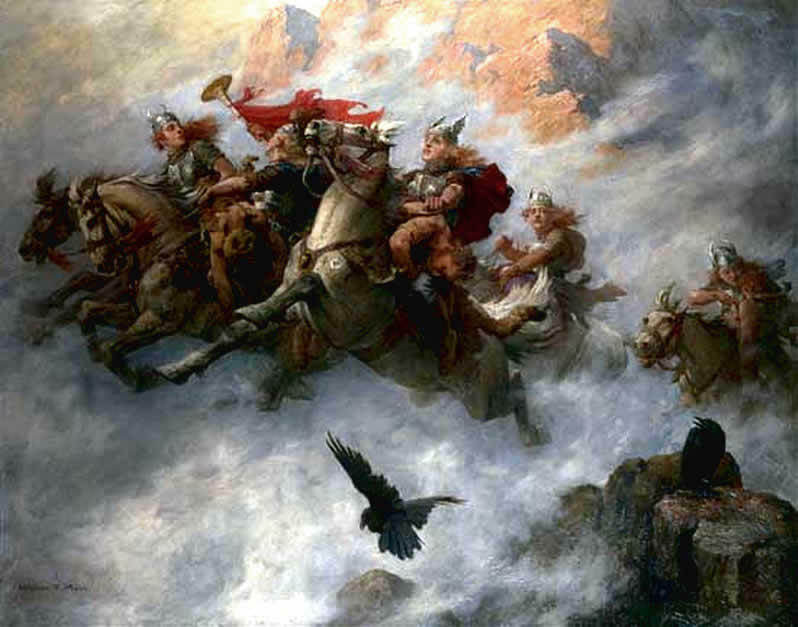 Today, we take to the viking skies in music from German composer Richard Wagner. We'll ride to battle with the Valkyries, servants of the Norse god Odin. Listen in as they take "roll call" and talk about the soldiers they've collected to take to Valhalla. KC 226 - BOOM Week! Tuesday: Today, we'll hear Richard Wagner's giant, roaring music for galloping through the sky! 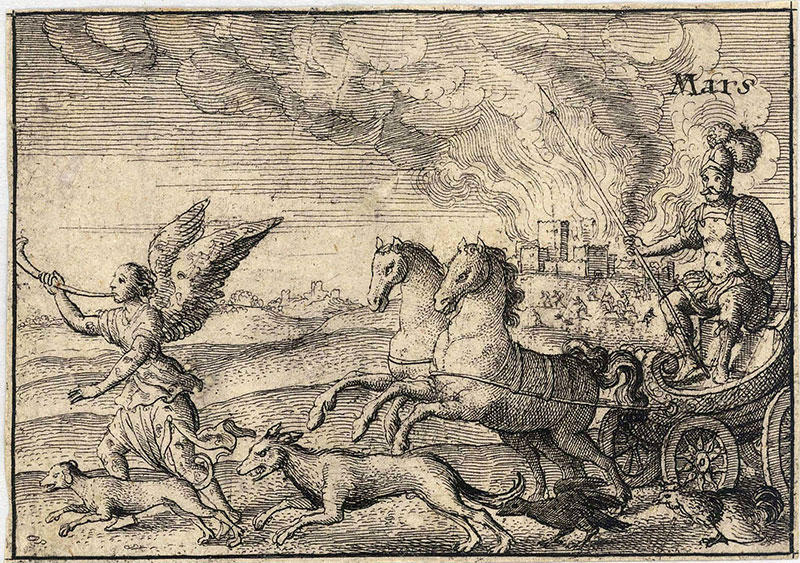 "Ride of the Valkyries" is from Wagner's opera "Die Walkure." Happy Monday, Kids Commuters, and welcome to BOOM WEEK on IPR's Kids Commute - classical music for kids! You know how classical music can be really soothing and relaxing? Not this week! 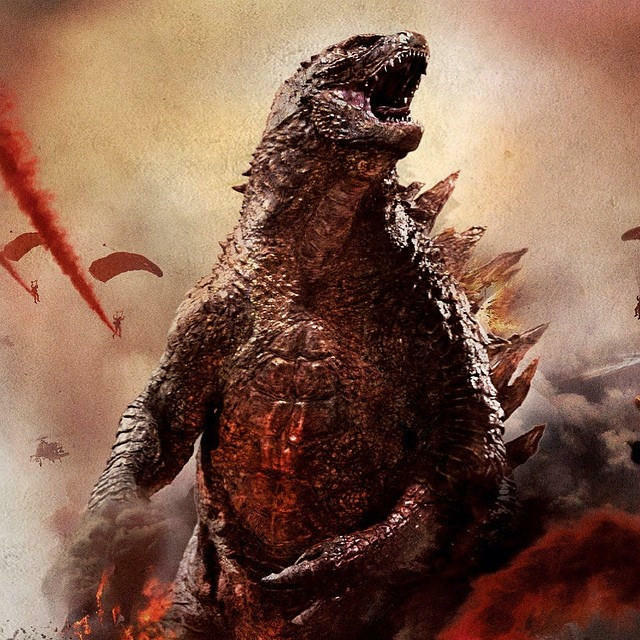 This week, we're listening to big, loud, booming pieces of music! Today, we'll go BOOM with bullfighters in the exhilarating "Entrance (March) of the Toreadors" from Georges Bizet's opera "Carmen." The fans are so excited to see them! KC 225 - BOOM WEEK! 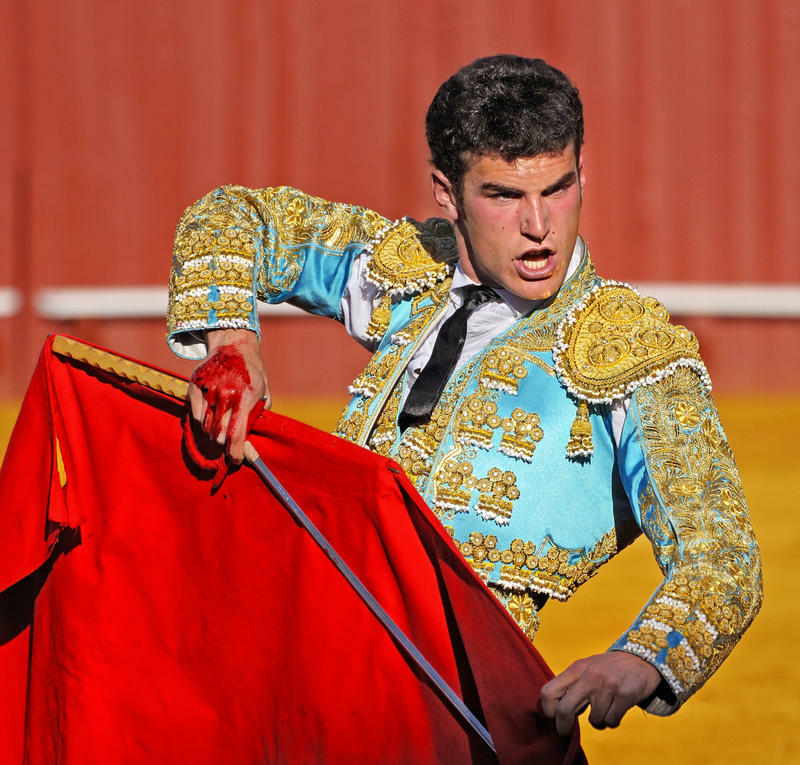 Monday: Today, we'll hear some exciting music for bullfighters from Georges Bizet's opera "Carmen." Happy Friday, Kids Commuters! It’s the final day of POP! GOES THE CLASSICAL week on Kids Commute from Interlochen Public Radio. We’ve dedicated this week to artists with a classical music background who bridge the gap between modern classical music. 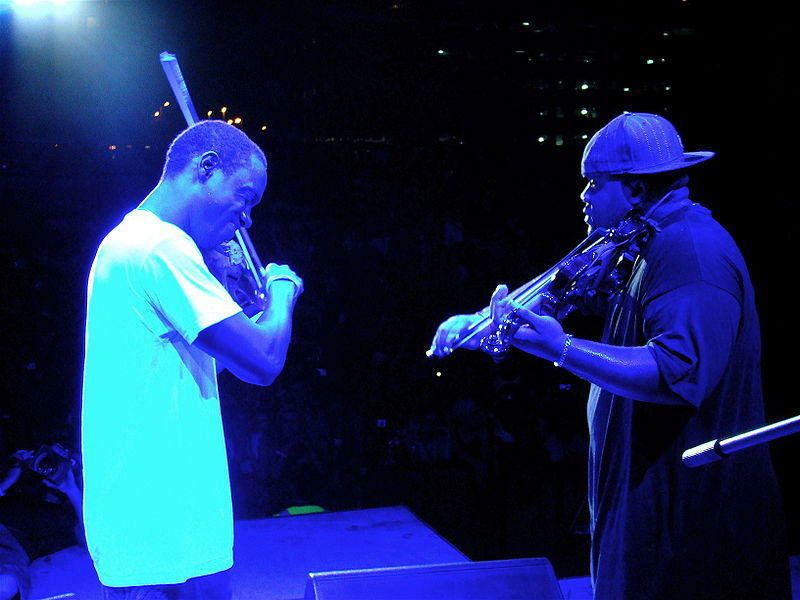 Today, we focus on Black Violin, a violin/viola duo that combines classical-style playing with contemporary hip-hop beats. In today’s musical selection, they use Joseph Brackett’s Shaker hymn, Simple Gifts, and reimagine it with variations on the theme, a hip-hop beat, and their classical training. Kids Commuters - you have until Monday, October 8 to enter the drawing to win tickets to see Black Violin in concert at the Great Lakes Center for the Arts in Bay Harbor on October 13! Simply text the word "tickets" to our Quizlet line 231-237-7482 for your chance to win a pair of tickets! KC 224 - POP! GOES THE CLASSICAL WEEK! Friday: Today, we'll hear the hip-hop classical group Black Violin perform "Shaker," their own exciting arrangement of the old hymn, "Simple Gifts." Welcome to Day Four of POP! GOES THE CLASSICAL Week on IPR’s Kids Commute. We’ve been exploring several artists and ensembles that use their creativity and training to reinvent modern music. 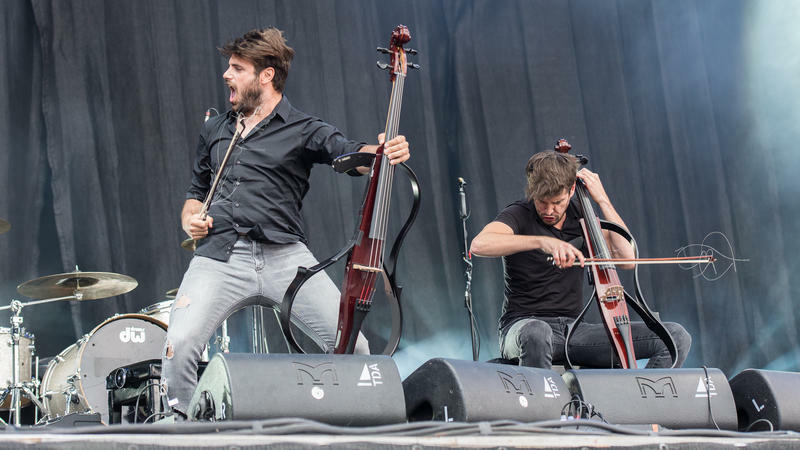 Today, we focus on 2Cellos, a duo of cellists that have a history of competing against one another. While they were highly respected because of their musical accomplishments, they weren’t necessarily financially successful until they realized the key to success was being different from other talented and accomplished musicians. 2Cellos took the internet by storm with the viral video of their performance of Michael Jackson’s Smooth Criminal that has gained almost thirty million views on YouTube! Knowing that this is what makes them unique, they’ve gone on to reinvent popular songs such as "Thunderstruck" by AC/DC, last year’s hit song "Despacito," and "I Will Wait" by Mumford and Sons. Today, we'll hear the hit that made them famous - Michael Jackson's "Smooth Criminal." KC 223 - POP! GOES THE CLASSICAL WEEK - Thursday: Today, we'll hear the song that made 2Cellos internationally famous - "Smooth Criminal" by Michael Jackson. We’re in the middle of POP! 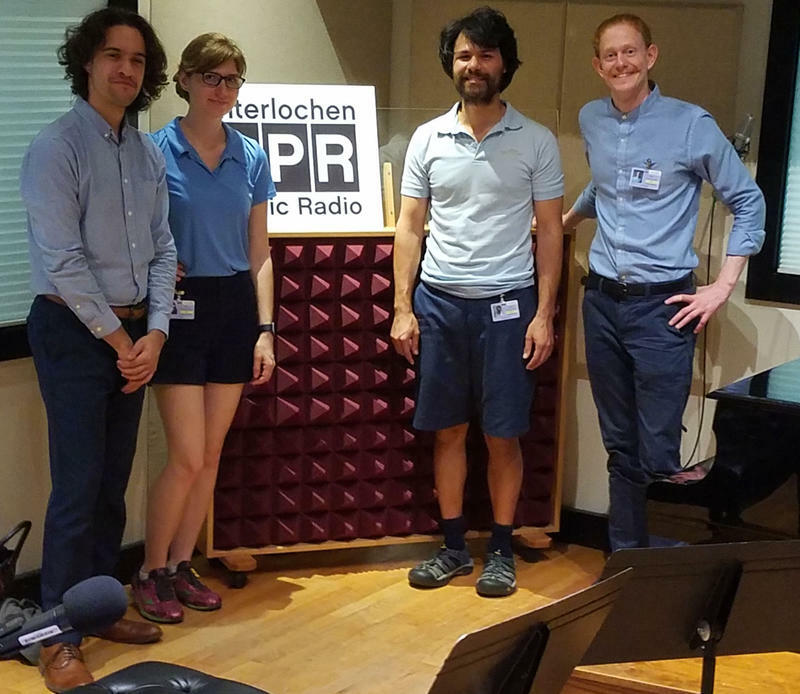 GOES THE CLASSICAL Week from Kids Commute by Interlochen Public Radio. 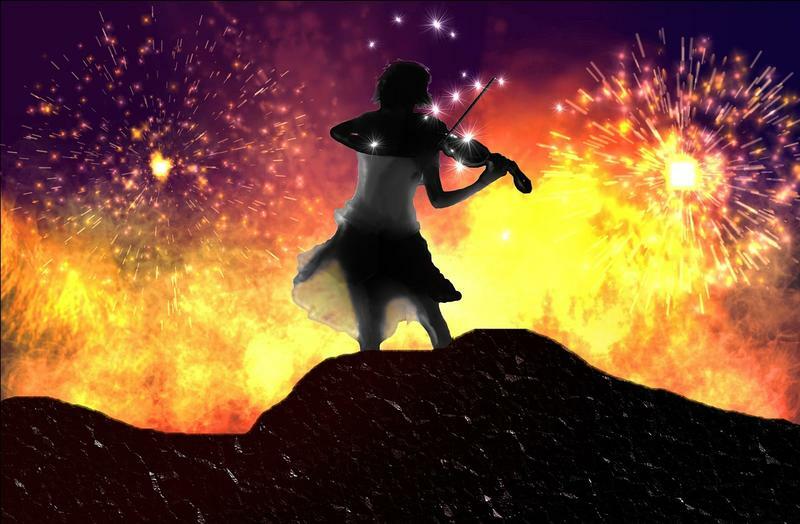 Join the fun as we highlight musicians who put a classical twist on modern music. Friction Quartet not only uses their creativity to reinvent modern music, they are active in commissioning works from modern composers to expand the repertoire available to string quartet ensembles. An extra cool feature is that Friction Quartet was the string quartet in residence at the 2018 Interlochen Arts Camp, right here in Interlochen, Michigan. Today, Friction Quartet will peform a chamber version of "Little Red Corvette" by Prince, arranged by the group's cellist, Doug Machiz. Friction Quartet performed the song just for us in IPR's Studio A! To hear our full interview with them, click here. KC 222 - POP! GOES THE CLASSICAL WEEK - Wednesday: Today, we'll hear Friction Quartet perform Prince's "Little Red Corvette" as arranged by their cellist, Doug Machiz. This performance was recorded in IPR's Studio A! Hi, Kids Commuters, and welcome to Day Four of COPPELIA WEEK on IPR's Kids Commute! 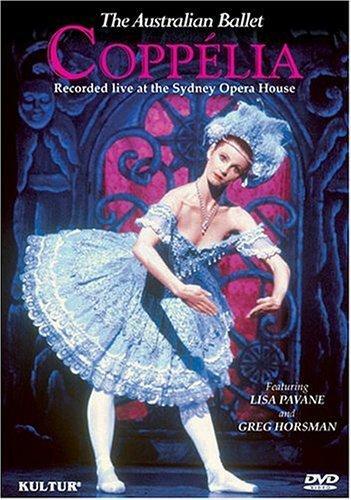 This week, we've been listening to the story and music of the classic ballet Coppelia by French composer Léo Delibes. Today - Swanhilda performs a daring rescue as Dr. Coppelius knocks Franz out with a sleeping potion and tries to steal his life force to put into the mechanical Coppelia doll! KC 218 - COPPELIA WEEK! Thursday: Today, it's Swanhilda to the rescue! 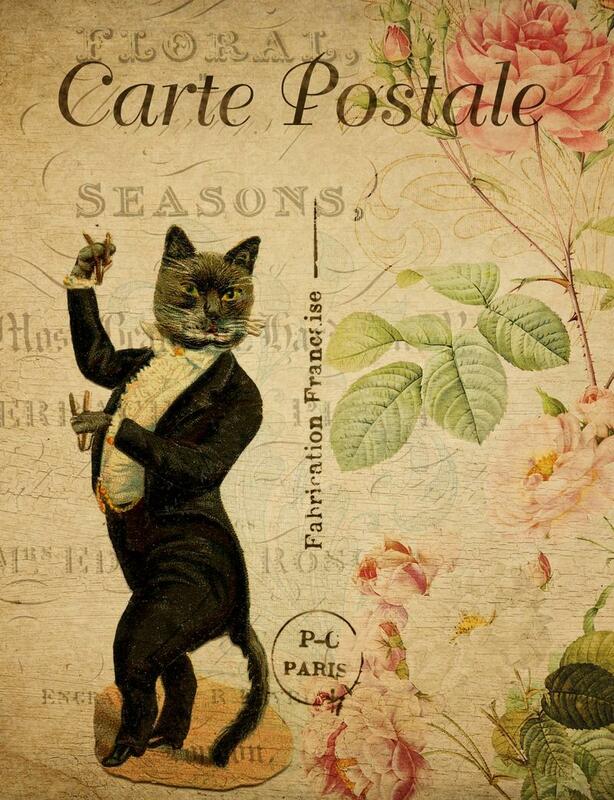 We'll hear "Chanson à boire et scène" ("Dance of the Drink and Scene") from COPPELIA. Emily Amos is a 15-year-old senior at Interlochen Arts Academy. 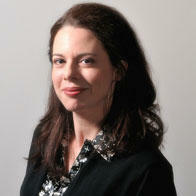 She will be one of five finalists in the upcoming Albert Schweitzer Organ Festival competition at the end of this week. Toi toi toi, Emily! 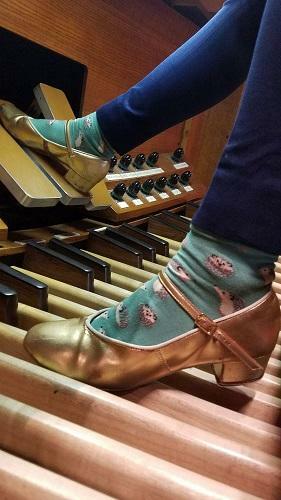 Emily performed Maurice Durufle's "Prelude and Fugue on the Name Alain" on the organ in the Dendrinos Chapel and Recital Hall and chatted with IPR's Kate Botello about being an organist - and what's up with those shoes! Welcome to Part Three of COPPELIA WEEK where we listen to music and tell the story from Léo Delibes' ballet. So far we’ve met Franz and Swanhilda, our couple in love. And yesterday, we were introduced to Dr. Coppelius and his daughter, Coppelia. Today, the mystery deepens. Franz is still captivated by her and the fact that she doesn’t move. Swanhilda is a bit jealous of Coppelia, so she decides to do some detective work and try to figure out what is really going on here. She and her friends sneak into the house of Dr. Coppelius and find...? Listen to today’s episode as we uncover some answers in our mystery! KC 217 - COPPELIA WEEK! Wednesday: Today, Swanhilda discovers that the house of Dr. Coppelius is full of some very strange people! "Musique des automates-Scène" - "Music of the automatons and scene." Welcome to Part Two of COPPELIA WEEK on Kids Commute from Interlochen Public Radio. We’re telling the story Léo Delibes’ ballet Coppelia over the course of the week. Yesterday, we were introduced to the young couple in our story, Franz and Swanhilda. A couple in love who are supposed to get married under the town’s new bell. Today we are introduced to Dr. Coppelius and his daughter Coppelia, who has some pretty strange characteristics. And so our mystery begins. 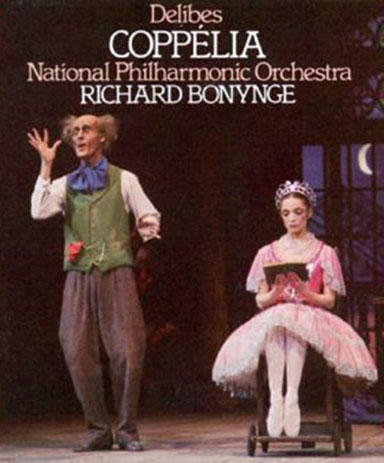 Franz becomes fascinated by Coppelia, and so Swanhilda tries a game with a wheat stalk to be sure of his love. Here's how the game works: if you shake the stalk near your ear, and you hear it rattle - you're in love! The wheat rattles in Swanhilda's ear, but Franz doesn't hear anything. He pretends he does - and this makes Swanhilda pretty sad. KC 216 - COPPELIA WEEK! Tuesday: Today, we'll hear Swanhilda test Franz's love with a rattling wheat stalk, in the "Ballade de l'épi" from COPPELIA, by Léo Delibes. Happy Monday, Kids Commuters! It’s story week on Kids Commute from Interlochen Public Radio. 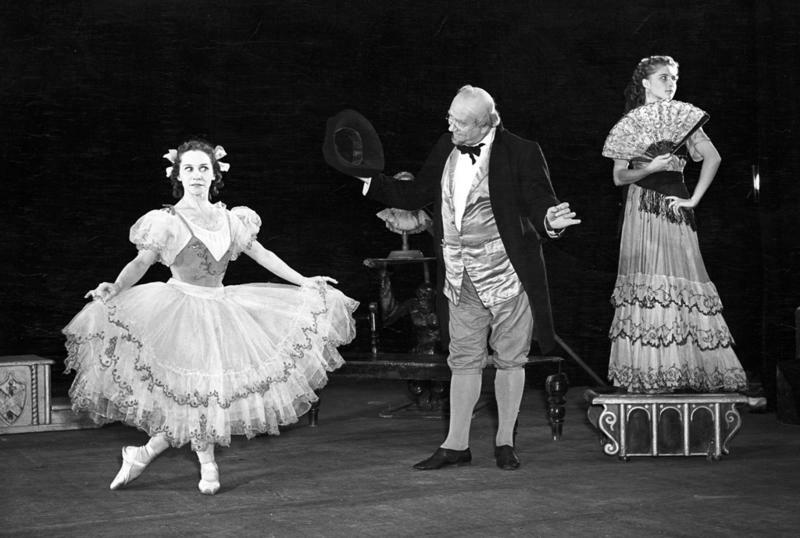 All week long we'll tell the story from the ballet Coppelia by French composer, Léo Delibes. It’s a bit of a mystery about the reclusive Dr. Coppelius, his strange daughter (Coppelia), and a curious young couple (Franz and Swanhilda). The story starts in a village that is about to receive a bell. To celebrate, the mayor has offered a prize to a couple who gets married under the brand new bell. The town holds a happy celebration with lots of fun and dancing. KC 215 - COPPELIA WEEK! 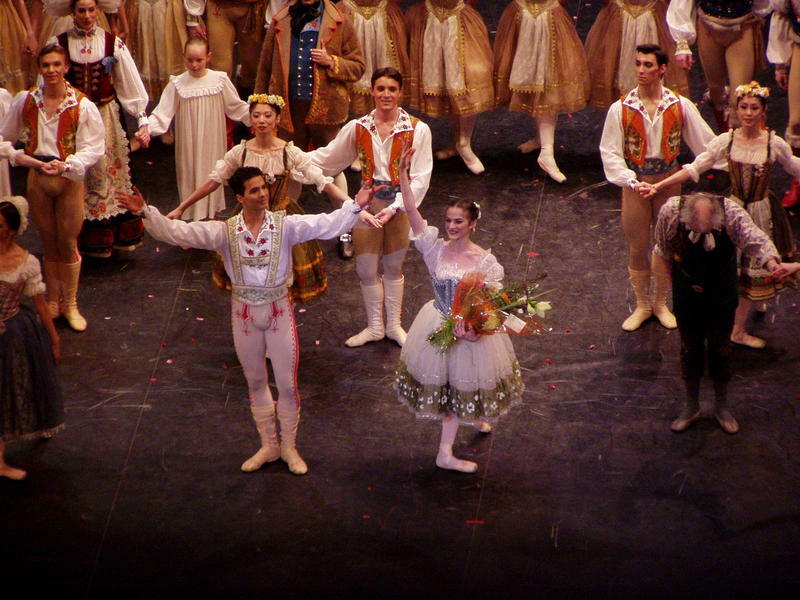 Monday: Today, we'll hear Part One of the story and music from the classic ballet, COPPELIA, by French composer Léo Delibes. And meow, my friends, we’ve reached the final episode of “Cat Week” from Kids Commute. 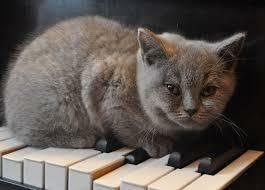 We hope you’ve had fun exploring music inspired by, written about, or “composed” by cats. Have you remembered to text in your answer to this week’s Quizlet? If you get the answer right, we’ll send you one of our all-new Kids Commute Prize Packs. Today, we listen to cat music composed by Peter Ilyich Tchaikovsky for the 1890 ballet, Sleeping Beauty. 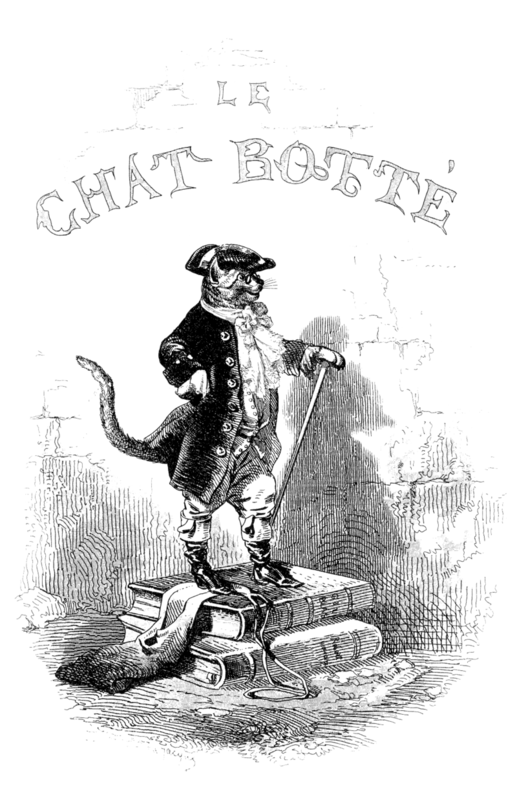 Its title is also the answer to today’s quizlet, Puss In Boots. The original story is a fairy tale about a boot-wearing cat who wins his poor young master a castle, a title and a princess - all with clever tricks! Tchaikovsky doesn’t use this plot for Sleeping Beauty, but Puss In Boots makes an appearance at Aurora's wedding feast. As you listen, try to see if you think the music sounds like the way cats might behave. Sleeping Beauty - "Puss in Boots"
KC 214 - CAT WEEK! Friday: Today, we'll hear music from Peter Ilyich Tchaikovsky's ballet SLEEPING BEAUTY, in which "Puss in Boots" makes a very kitty-like appearance at Aurora's wedding. Madison Hertel is an award-winning vocal soloist, recently named top vocal soloist in the state at the Michigan Youth Arts Festival. 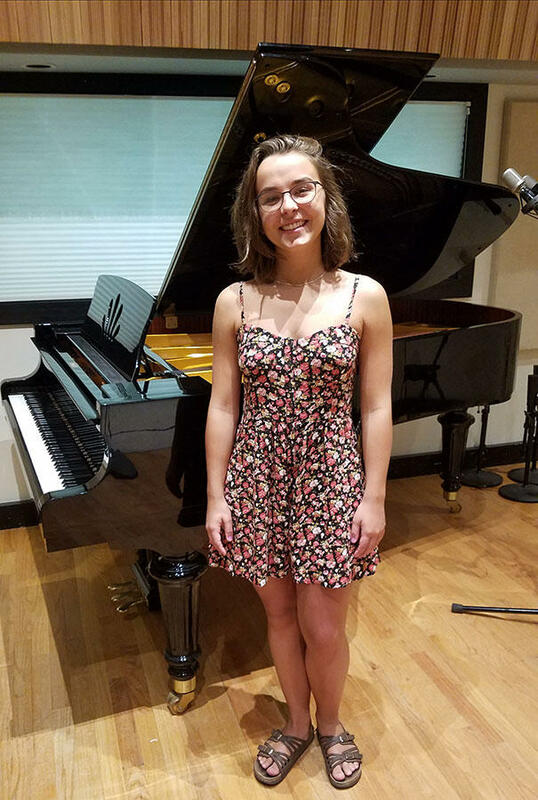 She stopped by Studio A - the day before leaving for college - to reflect on her career as a young professional actor, and to sing music of Fernando Obradors and Jonathan Dove. Vocal soloist Madison Hertel sang works of Obradors and Dove in Studio A. Hey there, Kids Commuters! Welcome to Day Four of CAT WEEK on IPR's Kids Commute! As you listen, you’ll learn a little bit about Domenico Scarlatti, who came from a very musical family, and we’ll also identify the notes that his kitten, Pulcinella, “composed” for him. All of this plus great music for you to listen to. KC 213 - CAT WEEK! Thursday: Today, we'll hear "The Cat Fugue" by Italian Baroque composer Domenico Scarlatti. The opening scale on which he built the fugue is based on the sounds his kitty, Pulcinella, made when she was walking on the harpsichord! Hey there, Kids Commuters! Here, kitty, kitty! It’s Day Three of CAT WEEK on Kids Commute, where we’ll listen to music either inspired by cats or written about them. 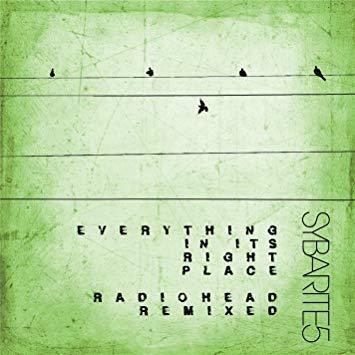 Our musical selection of the day is actually a mashup composed before mashups were actually a “thing." (At the time of its composition, a "mashup" - or different pieces mashed together into one - was called "pastiche.") Gioachino Rossini’s “Cat Duet” is a fun piece usually sung as an encore at the end of a concert or recital that features a pair of singers. 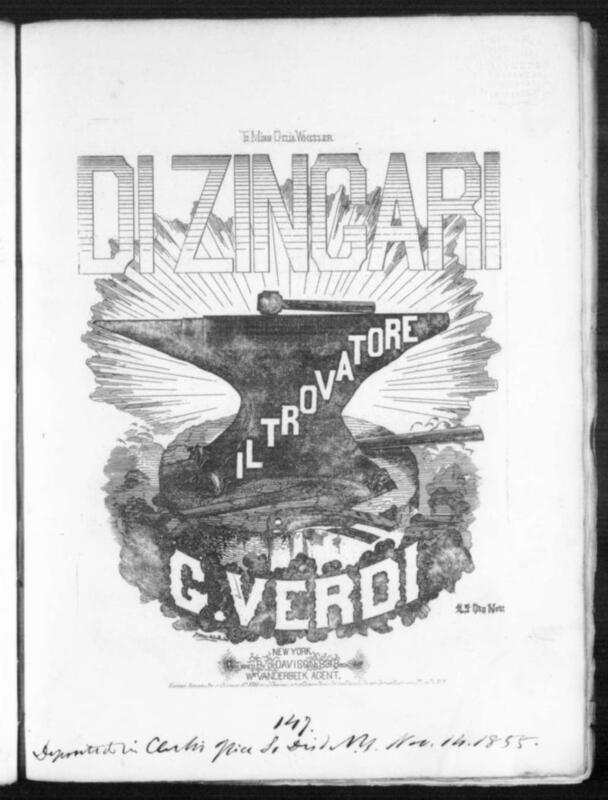 Learn about the history of the piece and how Rossini didn’t actually write the piece as it exists today, nor did he give it the name that we call it today. And don’t forget about our quizlet - text us your answer and you may just win an all-new Kids Commute Prize Pack! KC 213 - CAT WEEK! 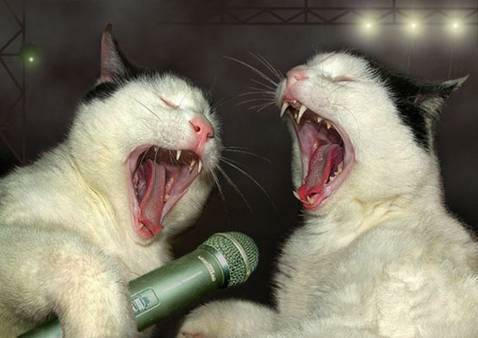 Wednesday: Today, we'll hear some dueling diva kitties in a popular piece based on themes by Italian composer Gioachino Rossini, "Duetto buffo di due gatti (Funny duet for two cats)." Hi Kids Commuters! Are you ready for more kitty cuteness? It’s Day Two of CAT WEEK at Kids Commute, where we are listening to music written about or inspired by cats. ‘Meow’ let’s get down to business. Today, we listen to "Kitten on the Keys" by Edward Elzear ("Zez") Confrey, who earned his musical reputation reputation recording piano rolls, which are used in old-time player pianos. Learn a little bit about how player pianos work, about Mr. Confrey’s life and musical career. Of course we get to listen to some great music, inspired by Mr. Confrey’s grandmother’s cat walking on her piano. I guess you never know when inspiration will strike! KC 211 - CAT WEEK! 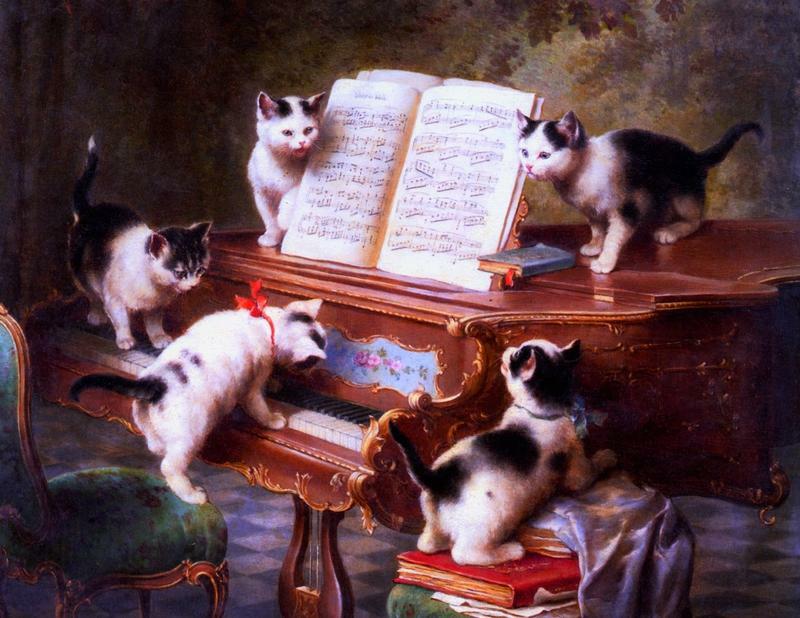 Monday: Today, we'll learn about piano rolls and hear the delightful, "Kitten on the Keys" by American composer Zez Confrey. Happy Monday, Kids Commuters! We're purr-fectly excited, because it's CAT WEEK! We’re not talking about the musical by Andrew Lloyd Weber; we’re spending some time with some other musical cats this week. We’ll listen to music about or inspired by cats. Today is extra special, because we get to hear an orchestra meow like a cat! Written by American composer Leroy Anderson, "The Waltzing Cat" was originally created for an orchestra. By the way, his name isn’t pronounced the typical way, LEE-roy, but a little more French-like: le-ROY. Anderson had some big hits - "Blue Tango" was the most popular song of 1952, and who can forget the classic holiday song, "Sleigh Ride?" Now let's meow along with the orchestra, and Leroy Anderson's "The Waltzing Cat!" KC 210 - CAT WEEK! Monday: Today, we'll meow along with the orchestra in Leroy Anderson's "The Waltzing Cat!" Happy Friday, Kids Commuters! Welcome to the last day of BACH WEEK on IPR's Kids Commute - classical music for kids! This week, we've been listening to works by legendary composer Johann Sebastian Bach and his sons, many of whom became composers. 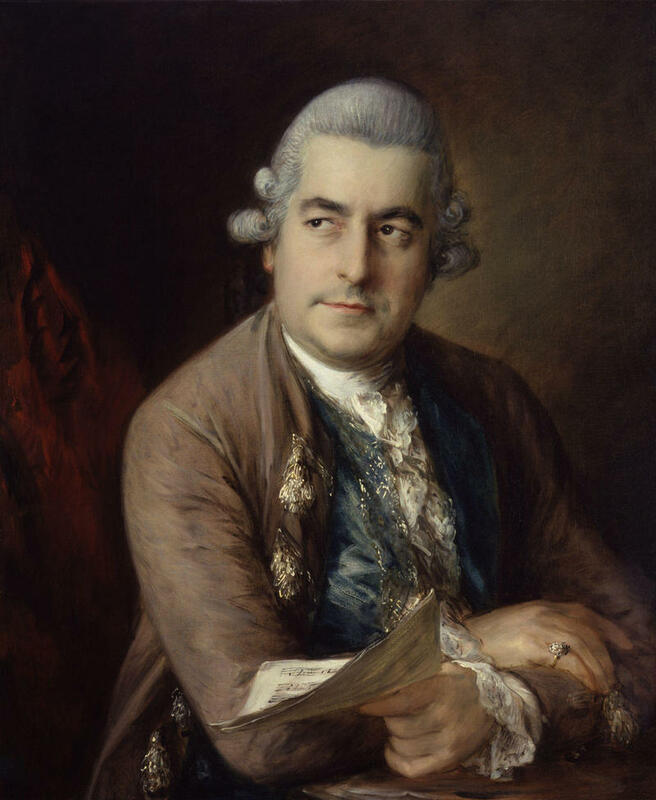 Today, we'll hear music from his youngest - and probably most famous - son, Child Number Eleven - Johann Christian Bach, who came to be known as the, "English Bach." KC 209: BACH WEEK! Friday: Today, we'll hear an aria from the opera, ZANAIDA, by Johann Christian Bach. 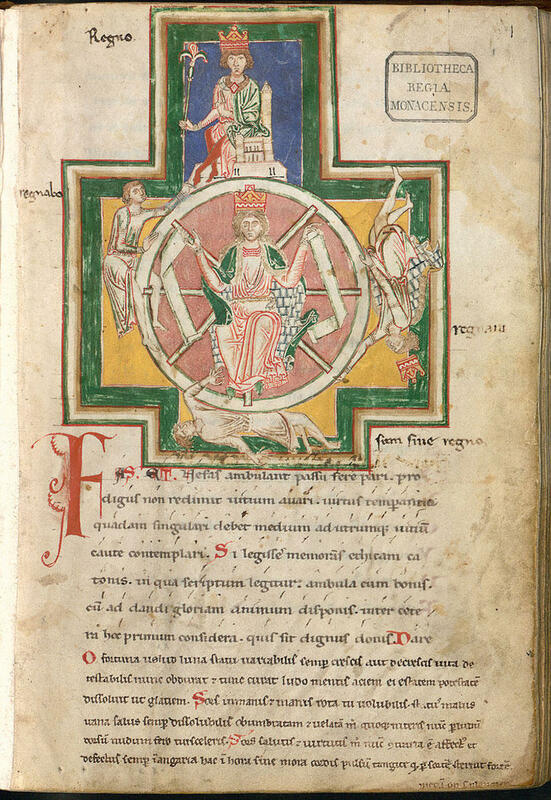 Vannina Santoni sings as Osira, "Allo splendor del trono," ("the splendor of the throne/court"). Hi there, Kids Commuters! Welcome to Day Four of BACH WEEK on IPR's Kids Commute! This week, we're listening to the works of the sons of composer Johann Sebastian Bach. 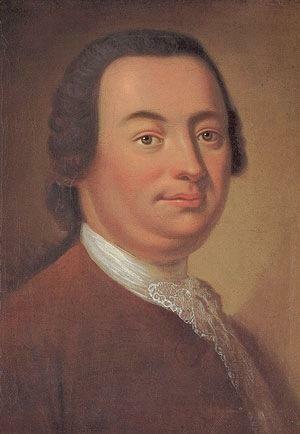 Today, we're meeting Bach's Child Number Nine: Johann Christoph Friedrich Bach (lots of Johanns in this family!). We'll learn a bit about his life, and hear a few of his variations on, "Ah vous dirai-je maman," the song we use as the basis for, "Twinkle, Twinkle Little Star," "Baa Baa Black Sheep," and the Alphabet Song! Johann Christoph Friedrich Bach: Variations on, "Ah vous dirai-je maman." KC 208: BACH WEEK! Thursday: Today, we'll meet Bach Child Number Nine - Johann Christoph Friedrich Bach, and listen to some of his variations on the popular French tune, "Ah vous dirai-je maman."